The Fourth Doctor range has given us some cracking yarns since Tom Baker came back to the fold in force. 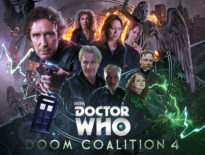 Sadly, while a solid entry (Big Finish rarely deliver anything less in this range) The Eternal Battle isn’t one of the stand-outs. 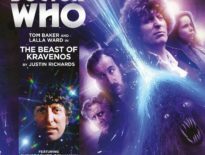 The core idea – Sontarans and Horror – is perfect for the era and sounds great on paper. And I get the feeling this could have been a real classic. The central narrative conceit is brilliant. Death and how it happens is important for honour-obsessed Sontarans and is of absolute value in their culture. This audio adventure, written by Cavan Scott and Mark Wright, turns this on its head with a familiar horror trope and as an idea is absolutely fascinating. But this felt like a missed opportunity. Ideas as rich and cheeky as this are hard to come by and so much more could have been made of the atmosphere and mystery. Instead, proceedings felt a little mechanical and lacking in sparkle. That’s not to say this isn’t a good piece of writing. The Doctor, Romana (Lalla Ward), K9 (John Leeson), and the Sontarans (Dan Starkey) are well-rendered. Baker in particular feels very at home in the role. Lalla Ward occasionally gets stuck in perpetual exasperation but again delivers a satisfying and steadfast Romana. However, there’s more to be in the extras on this release! Tom sounds like he is being interviewed at the height of his television era – the energy and enjoyment are palpable. I was also struck by Starkey’s precision and vocal skill when explaining how he approaches the Sontaran voices from the point of view of a professional and a fan. The overall plot and denouement are well done and something of a sci-fi staple that we’re used to in modern Who and more and more in modern retro-Who. This is another sturdy slice of nostalgia blended with the expectations of a 21st Century audience. The Eternal Battle suffers a little from appearing in a range characterised by fiendish complexity and storylines that soar over expectations. This one is good, but not as good as it could be. 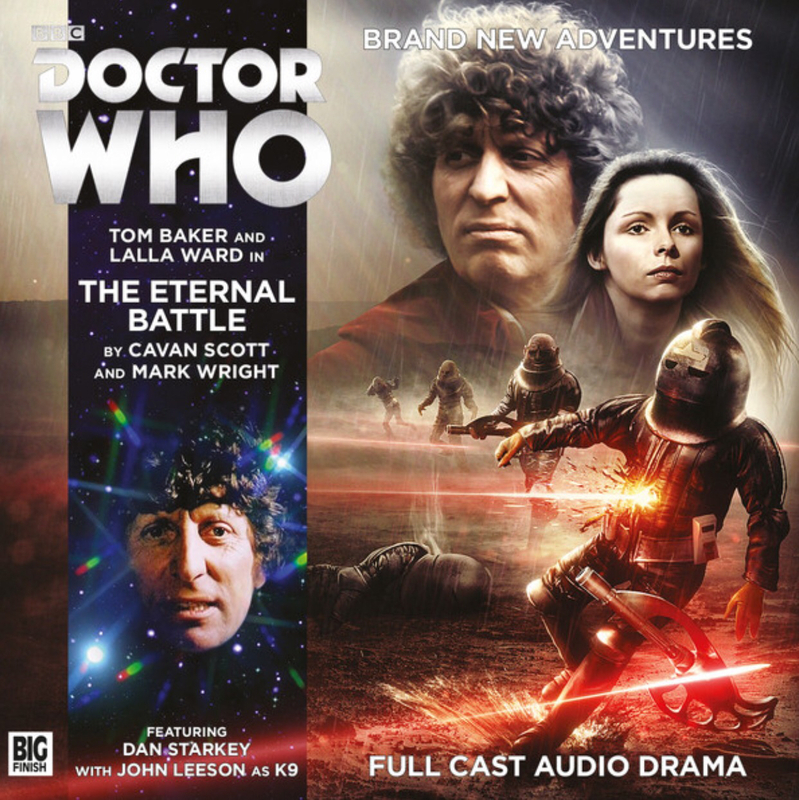 Directed by Nicholas Briggs, The Eternal Battle is out now from Big Finish; £10.99 as a CD or £8.99 as a download. ← The Doctor Who LEGO Set is Retired: What Does This Mean, and Where Can You Still Find It?